As a Northwest Indiana wedding photographer, we’ve been asked to come to Highland, Indiana many times. 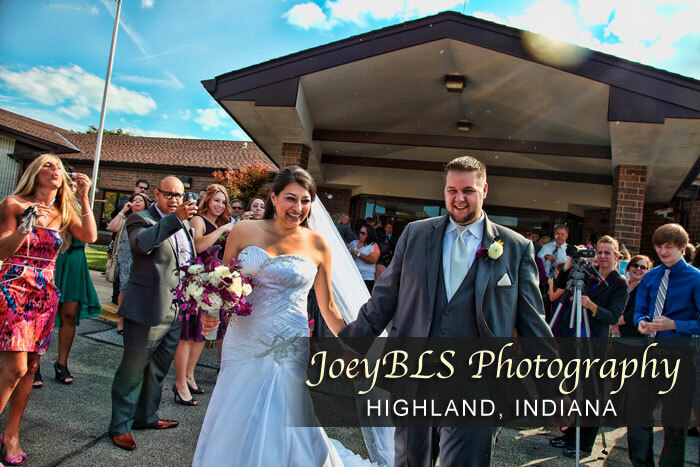 If you are looking for a Highland, Indiana wedding photographer to capture the moments of your special day, look no further than JoeyBLS Photography. We specialize in beautiful vibrant, colorful, digital wedding photos in Highland, Indiana and the surrounding areas. Whether you are taking photos at St. James Church, the Town Square or somewhere else, JoeyBLS Photography would be happy to be your Highland, Indiana wedding photographer. We also do engagement photos! Click the button below to view our wedding photo samples. After you view our samples, check out our Highland, Indiana wedding photo packages and prices and see which packages works best for your special day!